Tucked away in the corner of my bedroom closet is this little cute vanity, where I usually get ready. 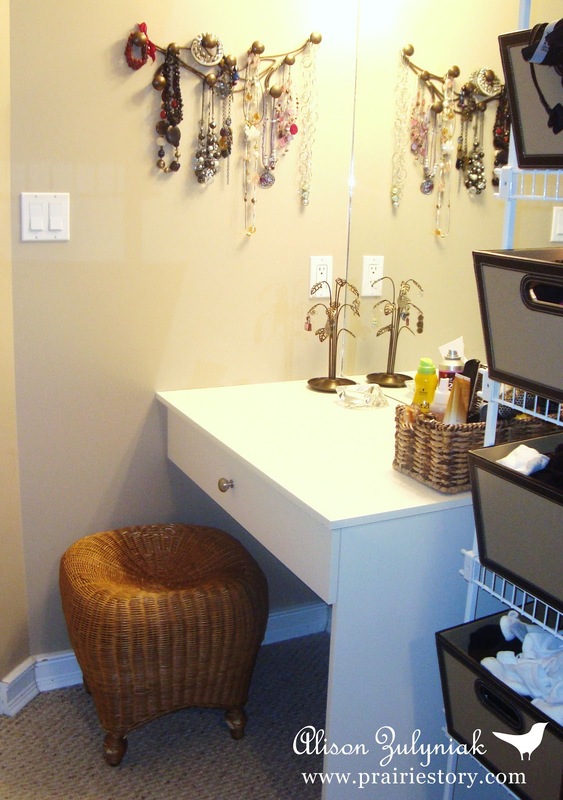 My hair products are in baskets, my make-up all in the drawer, and I'm thrilled that I finally got my bobbles and bangles, rings and things all organized so I can see and find them! I hung this hook rack up which gives me plenty of room to hang all my necklaces and bracelets. I've tried to hang them by color. 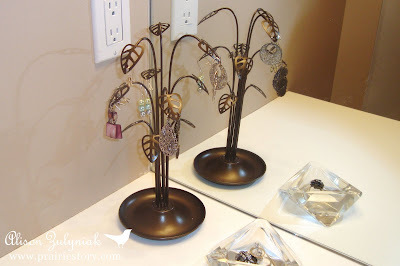 And then I found this cute earring holder. I don't have many earrings, but I thought it was perfect! Both the hook rack and the tree are by Umbra. 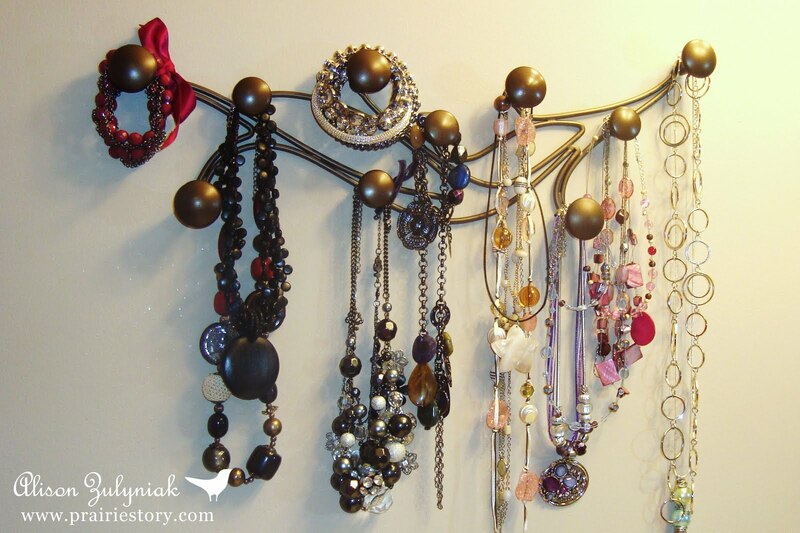 But now I'm curious, how do you organize your jewellery?